Alexander Seibel was born in Vienna in 1943 Brought up in a customary religious setting he later discarded his religion and become on atheist. His main interest as a student were scientific subjects. During his student days it was through the testimony of Christians of a world-wide missionary movement, that he was confronted with the Gospel and the Bible. What brought about the change in his mind was the evident fulfilment of biblical prophecies in relation to Israel. The final breakthrough came through a message about true discipleship. It was on 4 August 1968 that he surrendered his life to the lord Jesus Christ. Until the completion of his studies he was a member of a Baptist church in Vienna. 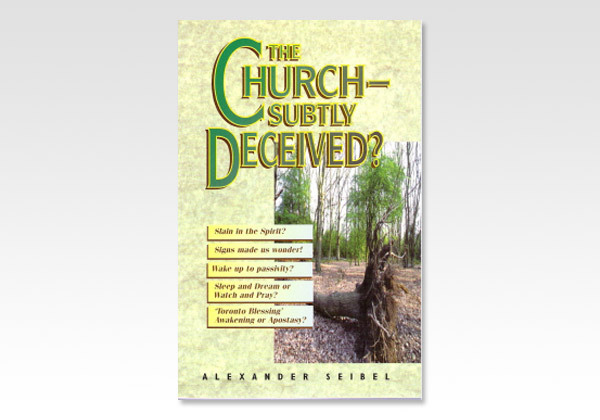 Alexander Seibel, who holds a Master of Technology degree, now works as a full-time evangelist He speaks on the subjects of science, the Bible, evolution versus creation to youth groups and students. He has engaged in on extensive study of the Charismatic movement and recent trends in our society and churches. He has written several books, some of them up to five editions, which have been translated into several European languages. Alexander Seibel now lives in Germany, is married and the father of three children.